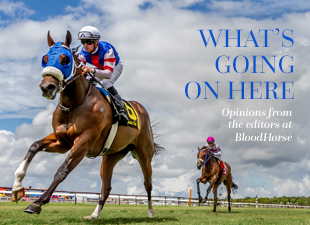 The Thoroughbred racing community in Florida has been something of a whipping boy lately. Undoubtedly the Sunshine State has its problems, including a weak state pari-mutuel regulatory agency overseeing an anarchic racing dates system that has allowed two racetracks less than a dozen miles apart to run overlapping live meetings for a year. But a couple of Racing Medication & Testing Consortium executives have been piling on recently by calling out Florida for being one of three major racing states that have taken no action toward adopting the Uniform National Medication Reforms. The other states are Louisiana and Oklahoma. Kent Stirling, executive director of the Florida Horsemen’s Benevolent and Protective Association, said the characterization of Florida as a rebellious holdout is a rush to judgment. He said draft language has been prepared that would add the uniform medication model rules to an agriculture bill but stressed that how quickly the rules become law is completely in the hands of the Florida legislature. Stirling also has some concerns about what will ultimately be adopted. Stirling referred to the last RMTC meeting where board members learned the thresholds established for three nonsteroidal anti-inflammatory drugs—phenylbutazone, ketoprofen, and Banamine (flunixin)—were incorrect and had to be changed, after several states had already adopted the model rules. He also said state regulators have been told they can each keep their existing rules and thresholds for all medications that are not among the 26 therapeutic medications identified in the model rules. It is curious that Arkansas has not surfaced among uniformity’s rebel states. Oaklawn Park certainly qualifies as a high-profile racetrack with 10 graded stakes and a well-worn trail running from the Arkansas Derby (gr. I) to the Kentucky Derby Presented by Yum! Brands (gr. I). But Oaklawn has not pursued accreditation through the National Thoroughbred Racing Association’s Safety and Integrity Alliance and does not participate in the Equine Injury Database. Nor has it shown any inclination to participate in either in the near future. What is RMTC and the Association of Racing Commissioners International to do with a state like Arkansas that just says no? One option may lie with the American Graded Stakes Committee, which is perhaps the biggest hammer the industry has for achieving compliance from recalcitrant racing states under our current multi-state structure. The committee could start lowering the graded status of a track’s most important races until progress is made. AGSC chairman J. David Richardson said the idea has been proposed to the committee. The more effort the racing industry puts toward implementing the current uniform model rules, the more it seems to be building the case for a national solution—the creation of one policy for all racing states that only has to be changed once when amendments are required, enforced by one agency, and no opt-out for racing states that insist on going their own way.